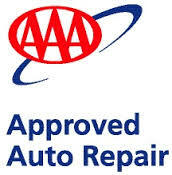 Best Warranty in Auto Repair! Some say we’re Murfreesboro’s TN, best kept secret for Automobile Repair, Service, and Maintenance. We’re proud of the work we do, and would love the opportunity to be your “neighborhood mechanic”. Murfreesboro’s Automobile Repair Shop. How can we help you? Cars such as BMW, Jaguar, Mercedes, etc. Car Problems? Come see the doctor! Maintaining a car can be compared to caring for the health of our own bodies. Sometimes our bodies break down and need repair, other times routine care and preventative maintenance can be the the best prescription. Experts in the care and health of your vehicle. We’ve got the experience, expertise, the latest tools and technology to properly diagnosis and repair most automobile makes and models. Whether your a health care worker, or an auto mechanic, we believe that quality work comes from a passion for what you do. Car Care is more than emergency repair. Sometimes your car will fail, and thus auto repair is necessary. We’re big proponents of proper maintenance and service. Whether your searching for an Auto Repair Shop in Murfreesboro or a quick repair, or you are looking for a long-term relationship with a full-service automobile service business, we’re glad you’ve found us. We’re fascinated by auto diagnosis and repair. We take pride in being professional in the way we communicate the diagnosis and options to our customers. We’d like to be your favorite car care shop. Call and come see us in Murfreesboro, TN!